Last week my family had an opportunity to take a vacation. We traveled to New York City. We met up with our good friend Dave Stevenson and his family. Dave, a golf pro by profession, came to Lakeshore in the days following the storm, camped out on the church property in a tent, cooked in “dutch ovens” for everyone daring enough to brave the complete devastation and those stranded in the area, took a lot of stunning pictures, and fell in love with the community. He compiled his pictures into a book, called the “Three Day Book.” Out of his own pocket, Dave foot the bill for the custom printing and pointed the donation proceeds our way. Folks would spend three days with the book, send us a financial contribution, and pass it on. We didn’t have a mechanism to keep track of how much money the book raised, but we know we received a good bit to fund the ongoing day-to-day volunteer efforts. btw, if you have a copy of the book in your possession, please take some time today to look over it again and find someone you can share the book with to keep the book going. Dave has become one of our most dedicated advocates. He speaks at schools, colleges, civic organizations, businesses, and professional meetings. Anywhere someone will listen, Dave shares the plight of the gulf coast and pushes to raise awareness and funds for the rebuilding efforts. 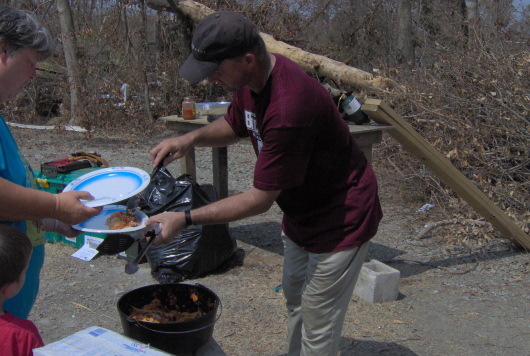 In 2006 Dave deservedly received the PGA “Humanitarian of the Year” award for his work on behalf of Lakeshore. NBC’s Jimmy Roberts highlighted Dave’s work during the US Open. In a recent trip to New York, Mississippi’s Governor, Haley Barbour, personally met with Dave and thanked him for his support. At dinner last week, Dave shared with me his latest initiative. 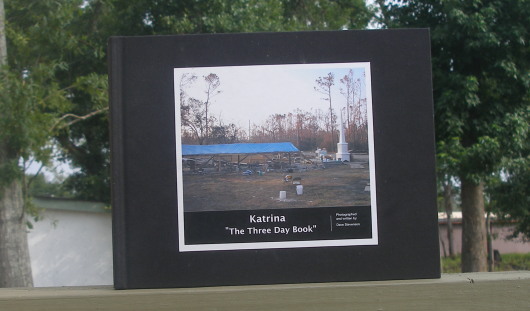 His golf club sponsored a tournament dubbed the “Katrina Open.” He presented me with a copy of the three day book signed by all the participants and checks totaling over $3,000. As we approach the three year anniversary of the storm, I praise God for guys like Dave who have not shown even a hint of forgetting about the much needed work ahead in the ongoing relief, recovery, and rebuilding efforts. Praise the Lord for Dave and people like him. Dave is truly one of God’s special creations. I was fortunate enough to meet Dave on one of his trips out here- maybe a year and a half ago now, not sure.. Anyway, such a down to earth man. We are blessed to have people like him in this world.